President of Ecuador praises country’s Jewish community on 80th foundation anniversary. The President of Ecuador praised his country’s Jewish community on its 80th foundation anniversary. Several Jewish and non-Jewish officials attended the ceremony held Thursday at the Comunidad Judia de Ecuador synagogue in the capital Quito. 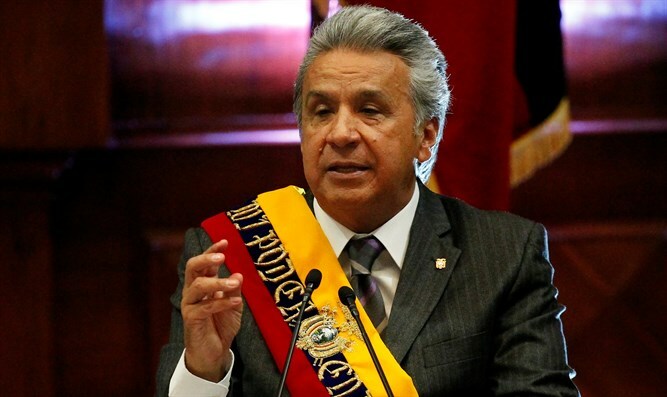 President Lenin Moreno highlighted the contribution of Jewish Ecuadorans to the South American society, reported the Agencia Judia de Noticias news website on Monday. “Today allow me to feel like a proud heir of several generations of authorities and citizens, who opened the borders and the heart to all the Jewish brothers who chose my homeland to escape the horror and find peace,” Moreno said. 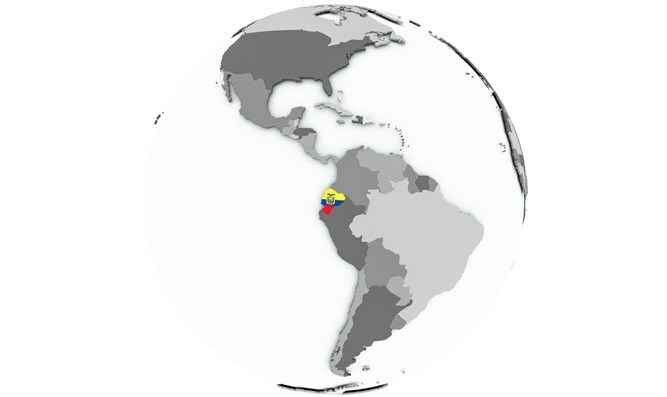 Moreno also said that the Andean nation was one of the few that “did not obstruct” the arrival of Jews and also voted in favor of the United Nations resolution in 1947 that established the State of Israel, which he called the “great homeland” of the Jewish people. Israel’s ambassador to Ecuador, Edwin Yabo, read a message from Israel’s President Reuven Rivlin, “We will not forget the humanitarian response of Ecuador,” Rivlin said. He also recalled Ecuadorian consul Manuel Antonio Munoz Borrero, who was declared “righteous among the nations” by Yad Vashem in Jerusalem for saving the lives of some 700 Jews during World War II. Although the first Jews settled in the country more than 80 years ago, the official foundation anniversary is the establishment of the first organized community, which coincides with Kristallnacht, or the Night of Broken Glass. “It is a Jewish community that was never very big but was always important in its contribution in industry, production, cattle raising, pharmaceuticals and architecture,” said Yabo.